Birthdays are a special and memorable event that should not go by unnoticed. It is a time to cherish the life gifted to you as a human, to count your blessings and express your love to those around you. Kids are precious to parents and celebrating their birthday holds great sentimental value for them. Making our kids birthdays memorable is a big responsibility for each of us parents. Prepare an overview itinerary of all the necessary things you want to include in your kid’s birthday party. Everything you are willing to have in your kid’s party has to be added in the plan following a sequence. Also, decide the time you will need to execute your party plans. Its shouldn’t be too time consuming. Pick a theme for the party. It can be anything that reflects the interest of your child. It will help your kid to get engaged during the celebration. Themes can be a sports theme, color theme, science theme, or Disney theme depending on your child’s interest. Make a guest list after consulting your kids. Make sure your kids contribute in making the guest list as later you may not want the invited kids to feel alone or uncomfortable. Limit the numbers of the guest according to the budget and the venue chosen. Design the invitation cards according to the theme of your party. Don’t forget to include all the necessary information in the invite such as if parents staying is must or if there is any dress code to follow, etc. You can also go digital by sending out the digital invites through emails or messengers. It reduces the cost of cards. According to the theme of your party, choose a venue. You can check out nearby party places such as kid-friendly restaurants, trampoline parks, fire departments or even museums. Pick one that isn’t too far away. Don’t forget to include an entertainment element in the party too. As dealing with a bunch of kids is not easy, you need to have a fully-packed schedule to keep the kids engaged in the activities. It is always good to hire a party host to assist you. If you go to places where they are into party planning, you can easily find a party host at minimal cost. Trampoline parks here in Houston are trendy for kids’ birthday parties as it offers a great space and props for safe play. The cake and the food are the main stars of any birthday party. The cake should be big enough for everyone attending the party. Food can be selected depending on the time you choose to have a party. You may want to consider a few easy to serve and eat options as kids may spill food. Every party is remembered for the quality of its food so make sure you serve the best. You’ll find no shortage of kid’s birthday party places in Houston. We happen to live in a great city for hosting birthday parties with many venues, but you can usually find a good one just about anywhere. There are places in Houston which are ready to give you a once-in-a-lifetime experience. Glow parties are also the new buzz in the town. A glow-in-the-dark party experience can be a memorable one and exciting for the kids. 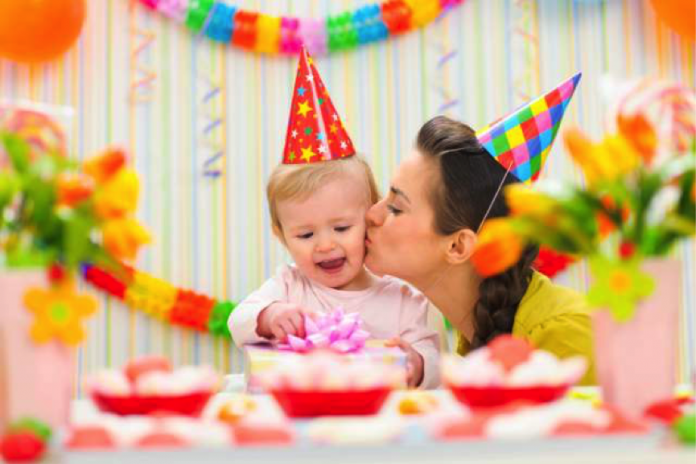 I hope above steps will help you plan a perfect birthday party for your kids. Next articleVaping: Is It Bad for Your Health?